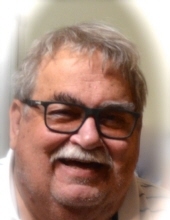 James H. Mariano, 69, of Coatesville passed away peacefully at his home on Monday, September 17, 2018. Born in Chester County and a longtime resident of Coatesville, Jim was the son of the late Henry T. and Angeline Forte Mariano. He was the husband of Denise Banach Mariano, with whom he shared almost 40 years of marriage. Jim was the proud father of two sons, James “Anthony” Mariano of Philadelphia, and David Mariano who is currently working in Iraq. In addition to his wife and sons, Jim is survived by his sister, Deborah Ondeck and her husband, Michael, of Lititz. Jim was a 1966 graduate of S. Horace Scott School, and attended Midwestern College in Iowa. He owned and operated Mariano’s Towne East Deli for 39 years. During that time Jim became well known for his kindness, generosity, and work ethic. Many of those he employed as teenagers carried the lessons he taught them throughout their lives. He enjoyed nothing more than preparing and sharing a meal with his family or friends. A well-loved member of the neighborhood, “Mister Jim” often spoke of his love for the people of Coatesville. His warm smile and huge heart became his legacy and will be missed. Jim was a lifelong member of Our Lady of the Rosary Church. Jim’s funeral mass will be celebrated Monday, September 24, 2018 at 10:30am at Our Lady of the Rosary Church. Visitation will be held from 9-10:15am at the church. Visitation will also be held Sunday, September 23, 2018 from 5:00 pm to 7:00 pm to at Wentz Funeral Home 342 E. Chestnut St., Coatesville. Memorials in Jim’s honor may be made to the Michael Bartone Memorial Foundation 1961 Goldenridge Drive, Downingtown, PA 19335. Memorials may also be made to Our Lady of the Rosary Church, 80 S. 17th Avenue, Coatesville, PA 19320. To send flowers or a remembrance gift to the family of James H. Mariano, please visit our Tribute Store. "Email Address" would like to share the life celebration of James H. Mariano. Click on the "link" to go to share a favorite memory or leave a condolence message for the family.